The process of creating a master plan for the Cornelius town center is underway, and early next month, community members will have an opportunity to influence the shape it takes. The city is holding a "Design Week" starting Monday, Oct. 8, with additional events on Tuesday, Oct. 9, and Saturday, Oct. 13. 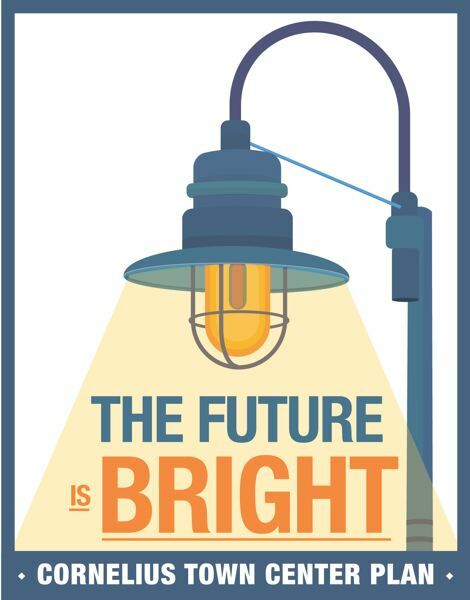 Attendees will have an opportunity to talk to project officials and share their ideas for what they would like to see in the future of downtown Cornelius. Design sessions will be held on a drop-in basis starting at 9 a.m. both Monday and Tuesday during Design Week, going until 8 p.m. on Oct. 8 and 6 p.m. on Oct. 9. Those sessions, to which members of the public are invited to show up at any time during those hours, will be held at Centro Cultural de Washington County's La Plaza Hall, located at 1110 N. Adair St. in Cornelius. Ryan Wells, Cornelius' community development director, said input gathered from those two days will be considered and processed over the rest of the week. Then on that Saturday, Oct. 13, the public is invited to a design presentation and community discussion in the gymnasium of Cornelius Elementary School, located at 200 N. 14th Ave., about the conceptual outlines of the master plan and what it could end up proposing for downtown Cornelius. Refreshments will be provided at all events, Wells said. The city has already been conducting some public outreach, in both English and Spanish, to get people's opinions and perspectives. So far, Wells said, planners have gotten "excellent feedback" from the community. After Design Week, Wells said, "We're going to take all this information and start to put it together into what does that mean on the ground, what does it look like on the ground, what does it look like for the structural and building styles that we'll see reflected in a future Cornelius town center?" Downtown Cornelius, as it presently exists, is a hodgepodge of zoning districts and a patchwork of attractive new buildings with open spaces, like the Virginia Garcia Memorial Health Center off North Adair Street, and moldering derelicts, like the long-shuttered gas station off Baseline Street. The neighborhood is ruled by the Highway 8 couplet that splits Cornelius between north and south, with Adair Street carrying westbound highway traffic and Baseline Street running eastbound. Thousands of motorists drive through Cornelius on a daily basis without stopping for anything but a red light. Public safety is a perpetual concern, with projects like the ongoing reconstruction of 10th Avenue doing their part to address it. The town center master plan is an effort to address all of that and more, according to Wells. 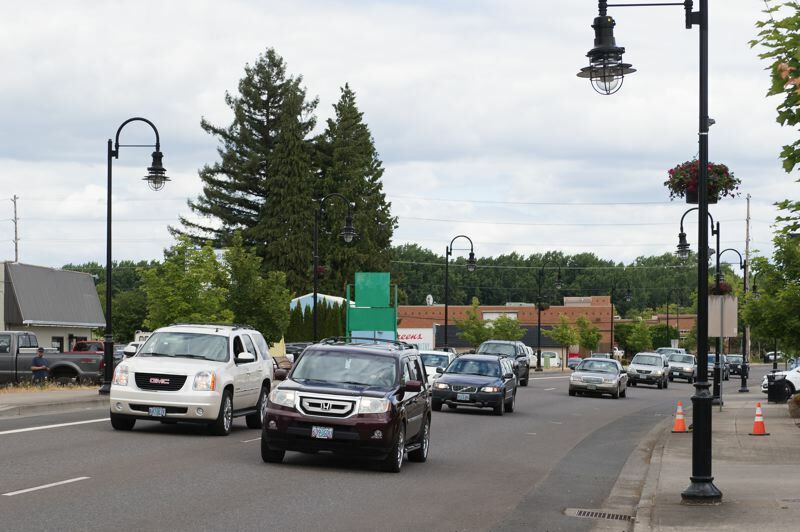 Cornelius can't do anything about the dominant presence of the highway corridor, but it may be able to find ways to keep traffic flowing while also improving walkability and featuring more reasons for visitors to pull off and spend some time in town. Eyesores like the old gas station won't vanish overnight, but a master plan could help the city identify ways to address them. Zones can be consolidated from their present jumble, making future land uses more uniform. "We're not going to dramatically impact anybody's ability to conform with the code based on existing uses," Wells said. "But at the same time, it's going to be our way to encourage a transformation over time." Cornelius is experiencing a housing boom, with more than 1,100 units in some stage of approval. The largest planned development in the city's 125-year history, the Laurel Woods neighborhood, is under construction in southeastern Cornelius, tucked away far from the city's downtown core. All the same, Wells said he sees a direct link between projects like Laurel Woods and the town center. "You'd think that a developer who's looking for their next big project is going to see a community that's grown by 25 percent in a very short amount of time, assuming the housing market stays as it does, think they're probably going to be more amenable to the level of risk to developing Cornelius than they maybe have been in the past," Wells said. "Because there's that much more spending power, that's that much more of an active customer base. And so this is going to set up our town center for those types of developments." Simply collecting the feedback from Design Week won't bring the master planning project to a close. Wells expects the master planning process to continue nearly all the way through 2019, although much of the work being done will be technical, he said — writing language to formalize the ideas and concepts that planners agree upon, including suggestions from the public that make it into the final document. He anticipates the Cornelius City Council will be presented with the completed draft for consideration toward the end of 2019 or in early 2020. Work on the town center won't end with the completion of the master plan. 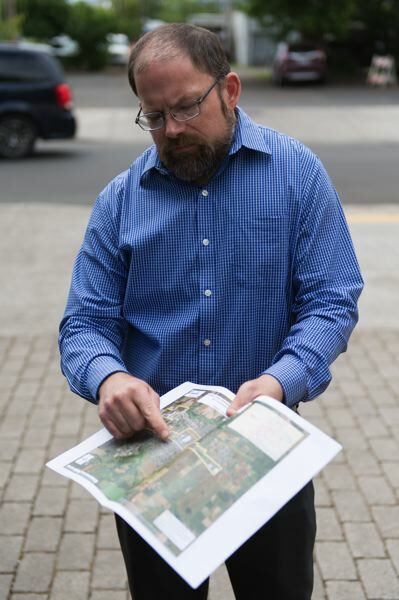 Not only will Cornelius need to begin implementing the plan — which is expected to provide a long-range vision for the downtown area; in other words, the prescribed work won't all happen at once — but Wells said he also expects the city to begin work on an urban renewal plan that will cover much of downtown. Urban renewal is a common tool that Oregon cities and counties use to improve "blighted" areas. The way it works is that an urban renewal district is created, geographically defined by tax lots, generally with the condition that it will expire after a certain number of years or upon collecting a certain amount of money. The way the district collects money is that the amount in taxes that each taxing district is collecting — the city, the fire district, other special districts and others — is capped at the amount being taken in when the district was formed. Any amount in taxes above that "frozen base," as tax collections increase with new development, property value appreciation, inflation and other factors, is directed for urban renewal. By statute, those collections must be put toward fulfilling a list of projects in the approved urban renewal plan. In this way, while urban renewal does not actually raise taxes, it uses the "tax increment" — the increase in the amount of taxes collected over time — as its primary funding source. "Oftentimes, people put these plans together, but there's no funding mechanism to do it," Wells said. "I think we're just really fortunate that we are able to put an urban renewal plan together at the same time, which provides a targeted funding mechanism to pay for a number of the different strategies and projects that are going to be identified in the town center plan."